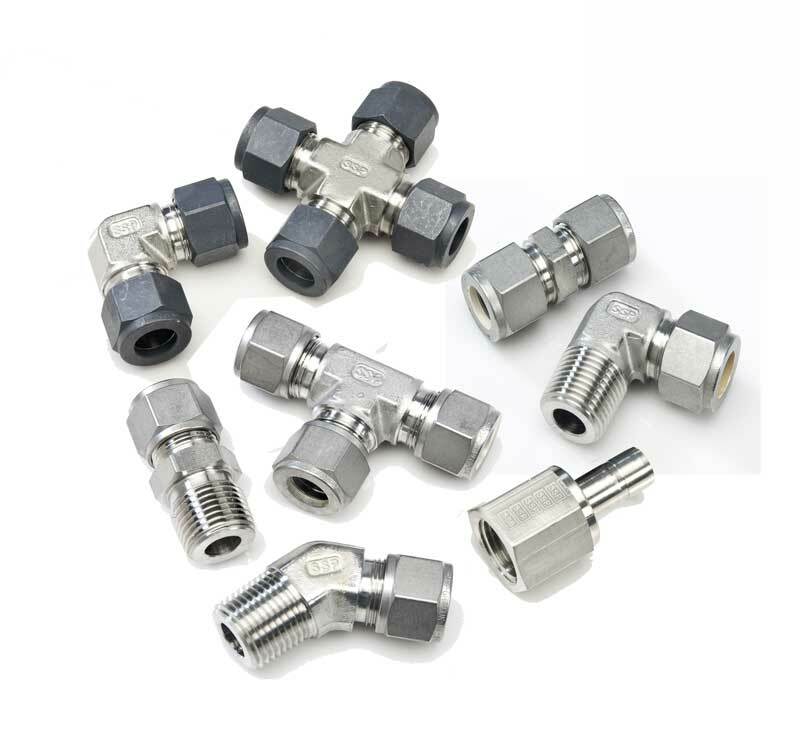 Stainless steel tube fittings offered for both instrumentation and industrial applications. Other materials include Alloy 400, Alloy C-276, carbon steel, and brass. Stainless steel tube fittings are available in three designs. These designs were specifically developed to intermix and interchange with the tube fittings used in the vast majority of today's analytical and process instrumentation applications. Sizes: 1/16 to 2 in. Materials: 316 SS, Alloy 400, C-276, brass, and carbon steel. 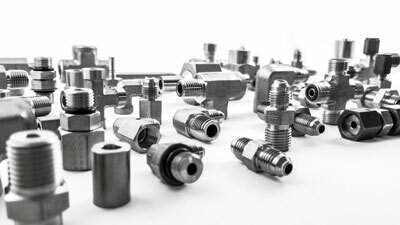 *Instrumentation tube fittings are available through your local Authorized SSP Instrumentation Distributor..
SSP offers 6 types of industrial tube fittings for applications in chemical, petrochemical, fluid power, plant and public utility, maritime, defense, aerospace, automotive industries. *Industrial tube fittings are available through your local Authorized SSP Distributor..